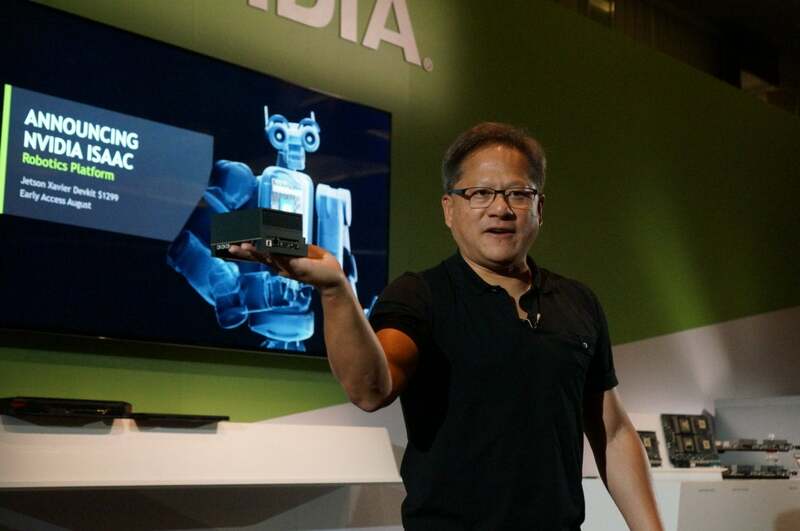 Huang had just finished announcing Nvidia’s Jetson Xavier, which Huang said is the first computer designed specifically for robotics. Powered by six processors—including a Volta Tensor core GPU, eight ARM64 cores, and deep learning accelerators and image processors—Xavier is the kind of computer that could be used to build a robot to hand you a wrench in the lab, like Tony Stark’s Jarvis. Most of Nvidia’s press conference focused on deep learning, AI, and other advances the company has been focused on recently, but nothing to feed the insatiable hunger of PC gamers for more performance. Keep in mind, Nvidia has never said when new GeForce graphics cards would arrive, but that hasn’t stopped numerous sites from reporting when the hardware would break cover. Up until recently, next-gen GeForce GPUs had been said to launch at Computex, and then E3. That moving target has apparently now moved again. Nvidia says the BFGD is still on target for a launch later this year. Now for the good news: Nvidia’s Big Format Gaming Displays (BFGD), which are basically massive 65-inch G-Sync HDR monitors, should be available later this year. Nvidia had the Asus ROG BFGD on display and it appeared far closer to release quality than what we saw at CES. During that earlier show, BFGD prototype monitors looked pretty rough and were powered by desktop power supplies sitting nearby. The Asus ROG BFGD we saw on Monday moved the power supply inside the display and seemed fairly polished. 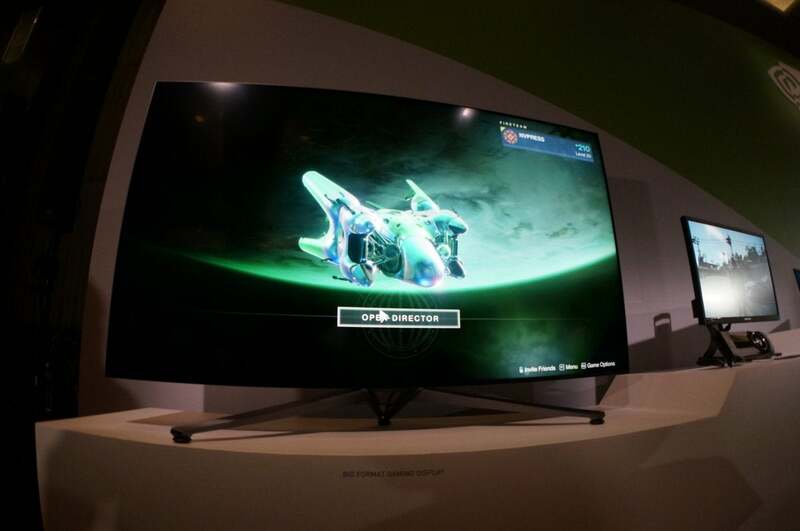 Nvidia said BFGDs are on target for later this year, and it looks likely to release on time—which is certainly not how the launch of other G-Sync HDR panels went. The first wave of long-delayed G-Sync 4K HDR panels have only now finally started to go on sale after being unveiled in January 2017. If you’re dejected you won’t have a GPU capable of driving a 4K 144Hz HDR panel, there is some hope. While the next GeForce won’t show up this week—and likely not at the big E3 gaming show next week—Huang was obviously being coy about its launch. A “long time” could honestly mean July or August, which is the current rumor. But at this point, you might as well also guess September, October, November, and December, too. And then toss in 2019 to be safe.